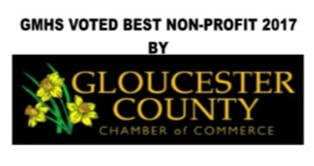 ﻿﻿﻿​The Gloucester-Mathews Humane Society (GMHS) is an open admission shelter shelter, meaning animals are welcome regardless of age, health or behavior. However, surrendering a pet to the shelter should be a last resort and citizens are required to make an appointment to surrender an animal. Please contact GMHS at 804-693-5520 to make an appointment before bringing your pet to the shelter. GMHS receives between 1,500-2,000 animals every year. We value the life of every animal, but rely on private donations to fund 95% of our operating costs. With dozens of homeless, injured and ill animals in need of help every week, our space and resources are often limited. We work hand-in-hand with rescue groups in the region to help place many pets in addition to the thousands of pets we adopt out from the Shelter. Through the tireless work of our staff and volunteers, GMHS saves thousands of lives every year. When someone surrenders a pet to GMHS, it becomes the property of the shelter and the owner relinquishes all rights. Every animal that is surrendered to GMHS will have a medical and behavioral assessment. Since the decision to surrender an animal is final – we urge anyone who is considering surrendering their pet to consider all possible alternatives. Set your pet free in a park, neighborhood, woods, etc. Give your pet to a stranger. ​At GMHS, we understand that it is sometimes necessary to give up a pet. We take the well-being of all surrendered pets very seriously and our team of dedicated staff provide compassionate care when animals come into GMHS. All pet surrenders are by appointment only. Please call 804-693-5520, ext 308 to schedule an appointment. There may be a wait if space is unavailable. When you surrender your pet, you will be interviewed by a staff person regarding the health and behavior history of your pet. A staff person will perform a behavioral assessment on your pet. This will help us gather information necessary to determine if your pet will be a candidate for adoption at GMHS. We will not adopt out dangerous animals as public safety is one of our top priorities. You will be required to sign a release form giving legal ownership to GMHS and you will be asked to fill out a personality profile about your pet. Please bring your pet’s medical records at the time of surrender and any other relevant documents or records.